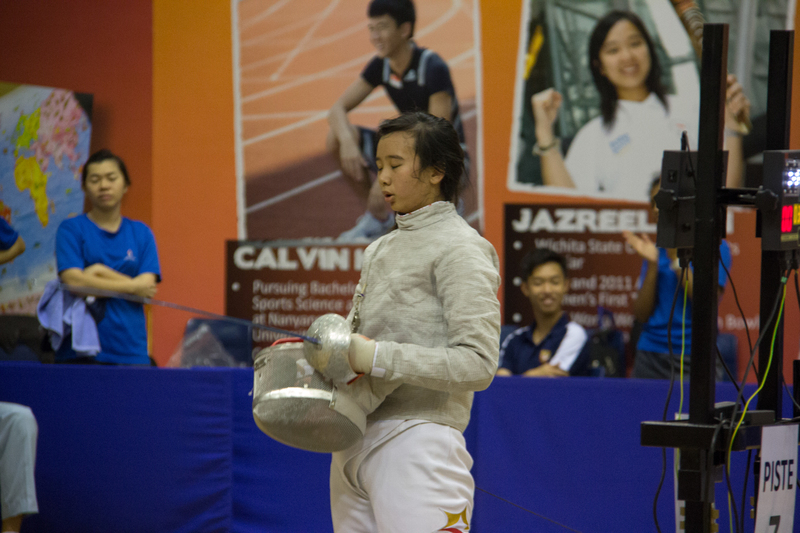 Roars of victory erupt from the Rafflesian spectators present as sabreur and girls’ captain Christabel Yong punches the air in triumph. 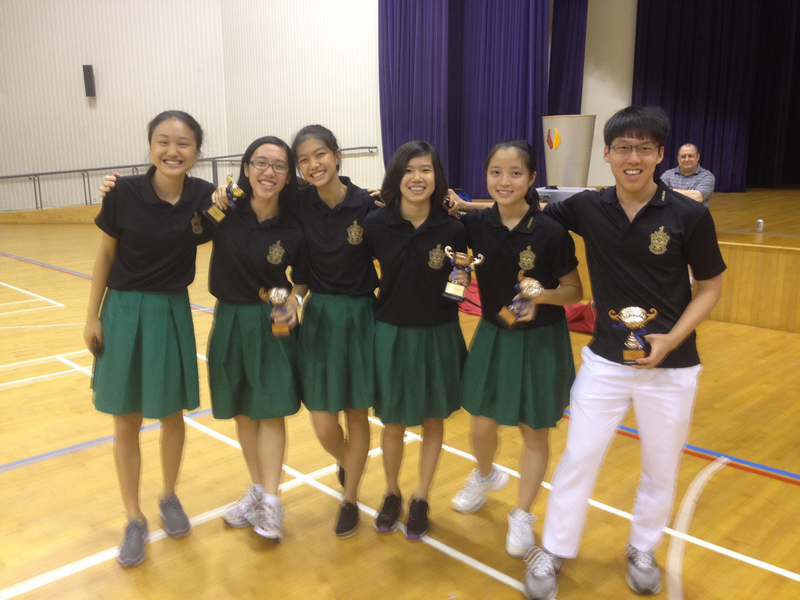 The Raffles Fencing team has just swept away their third individual Gold, sweeping, in the girls’ division, the Bronze, Silver, and Gold medals, as well as the girls’ A-division team first in the National Inter-school Championships. It was not that this year’s competition made it easy for our girls. 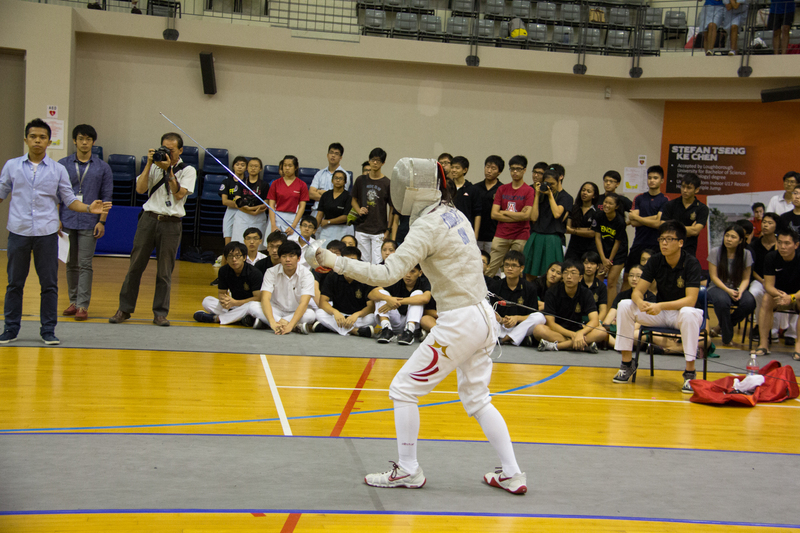 Every school present put up a good fight, especially Hwa Chong Institution, who were stout opposition for our fencers. 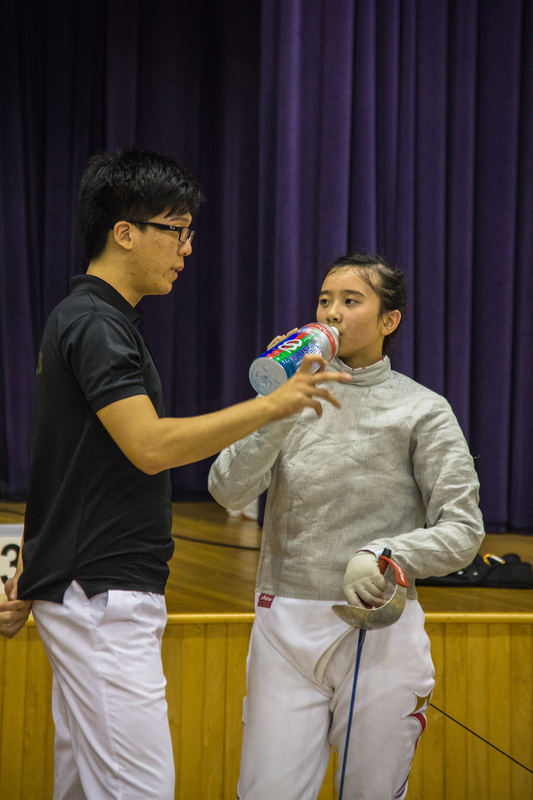 In the finals, for Foil, Sabre, and Épée, the girls faced a Hwa Chong counterpart in each, but they were able to push through all the way, coming out top in all three matches. The last match of the Inter-schools was especially rousing. The scores are neck to neck, the penultimate score by Hwa Chong resulting in a heart-stopping equalizer at 14-14. This last hit in the nationals would decide who won the last Gold of the year. 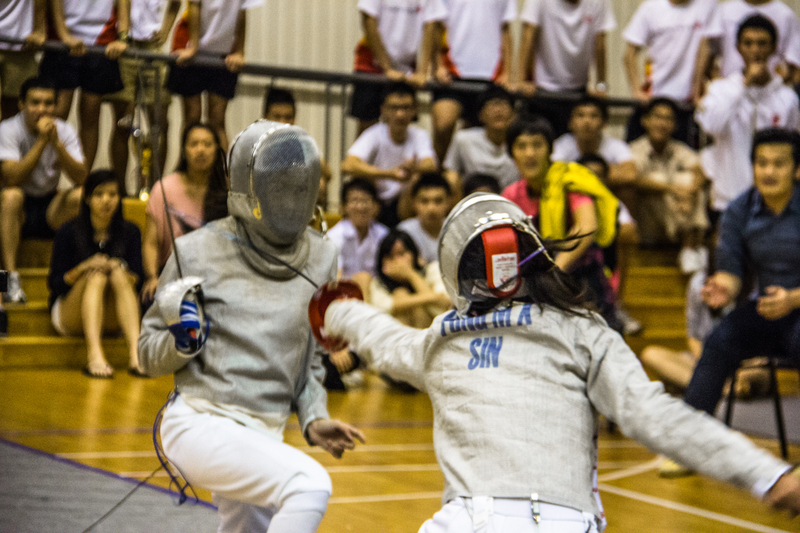 The two competitors take in deep breaths to calm themselves before the conclusive crossing of blades of an intense match, which finally ends with Christabel winning through a decisive strike on her opponent’s sword arm. The match has been secured. She salutes her opponent, the referee, and the audience by raising her blade’s hilt to her chin, then punches the air in firmly, spirit unyielding. The team cheers all the while from the sidelines. 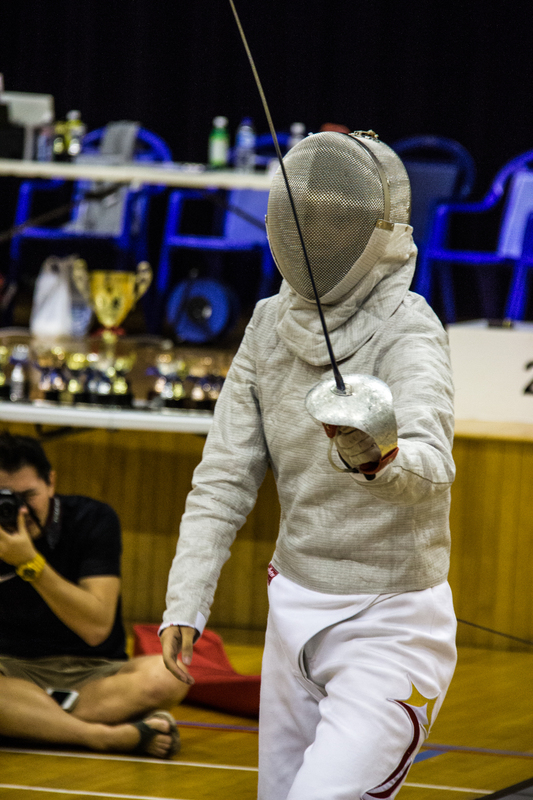 Thalia Lee and Fan Jin both won Gold for their weapon categories, Foil and Epée respectively, while Clara Chong and Denise Fu brought home the two Foil Bronzes, and Tan Tze En an Epée Bronze. For Fan Jin, the last two bouts were difficult, reason being partly because both were friends that she trained regularly with. Thalia had an easier time, winning all the matches by a clear margins up to her finals, which she won 15-7. The boys’ team sadly did not do so well in comparison, but were still able to bag a Bronze in the Sabre weapon category. He praised Tze Yang for exceeding expectations though. What your reporter gathered was that there is general consensus that the competition was really exciting this year. 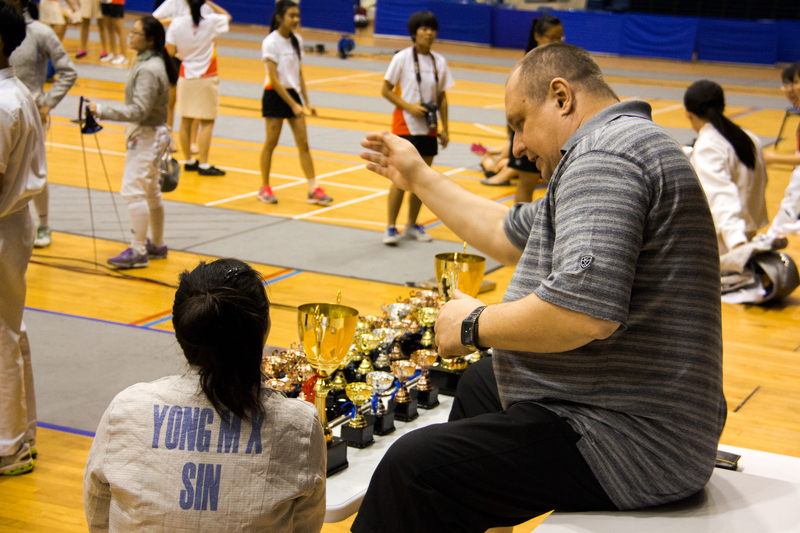 Both Mr Teo, teacher-in-charge of fencing, as well as national team fencer Jerrold agreed that this year’s matches have been genuinely interesting. 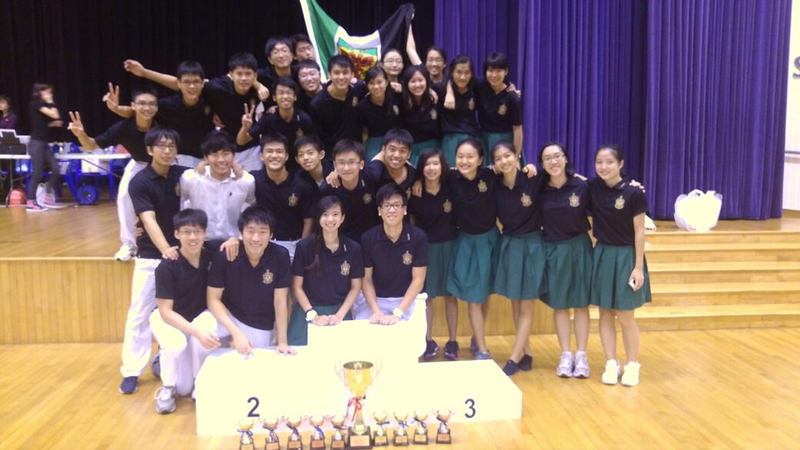 All in all, this year’s competition from Raffles can be summed up with a line from girls’ captain Christabel: “No reserve, no retreat, no regret.” And that was just what they did. 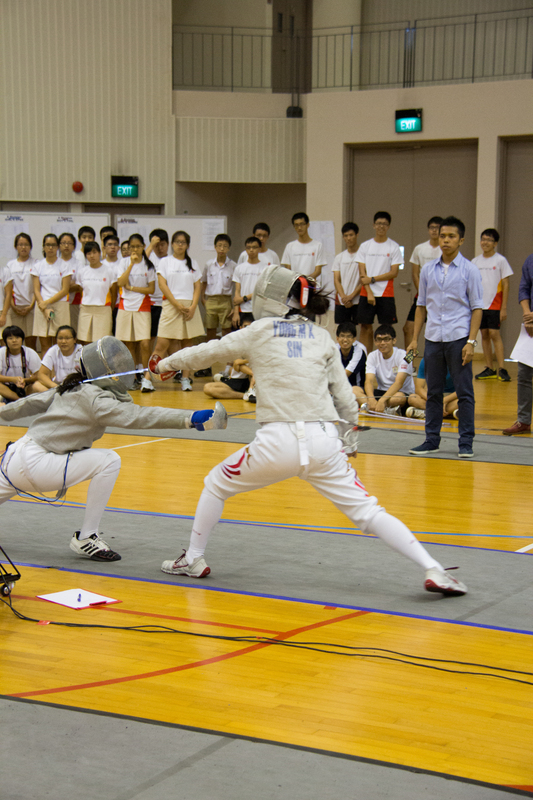 For detailed scorings, please visit http://sssc.schoolsports.sg/fencing/download for the Results .zip file.